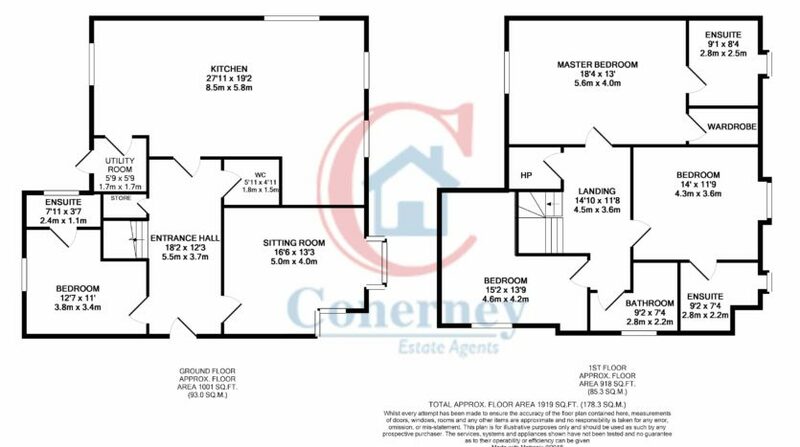 Conerney Estate Agents are delighted to present to market this stunning South Easterly facing, four bedroom, five bathroom residence in absolutely pristine condition throughout. 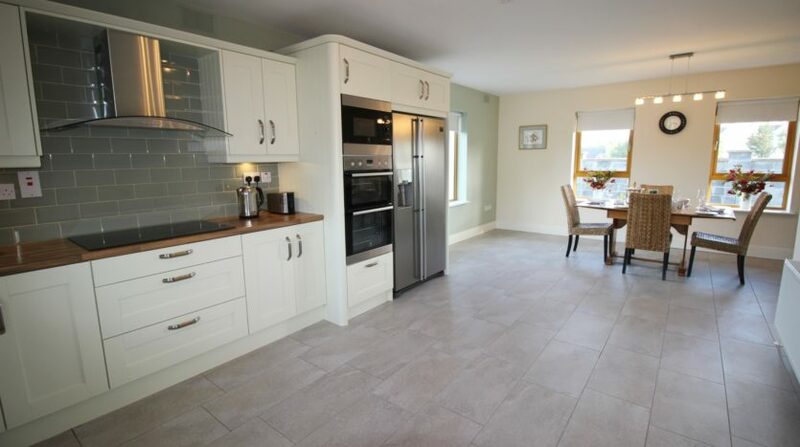 This large modernly built home ( 170 m2 – 1830 Sq Ft) stands on a considerable site with wrap-around garden and is set in a quiet cul de sac in the beautiful estate of Djouce Meadow, only a stones throw from the picturesque village of Roundwood. 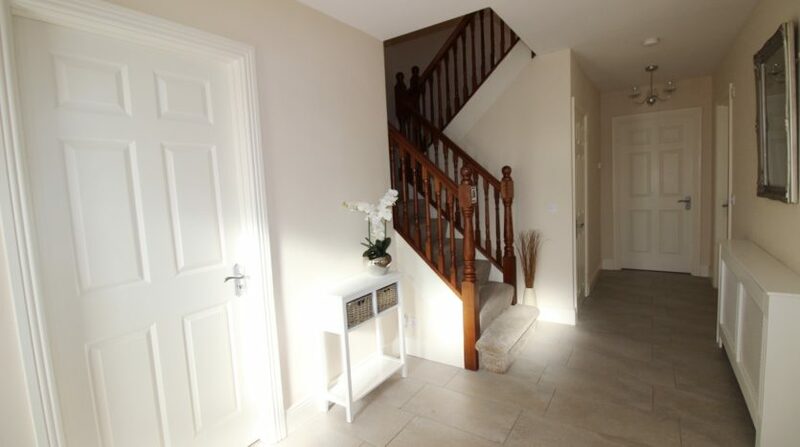 Presented in immaculate walk in condition, the house itself is truly fabulous, with literally nothing out of place. 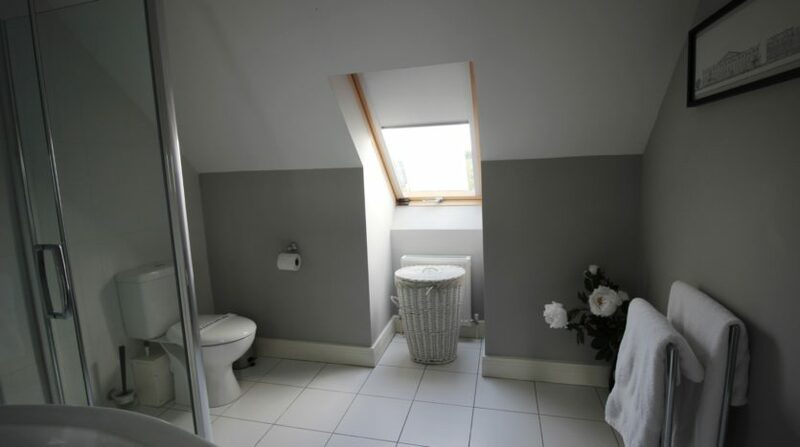 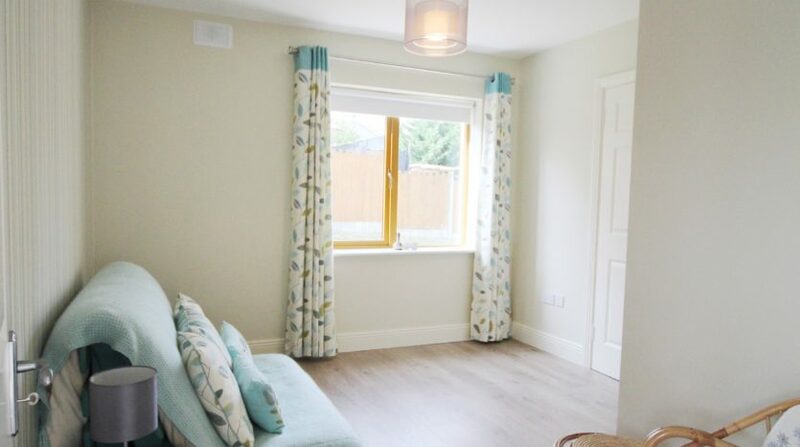 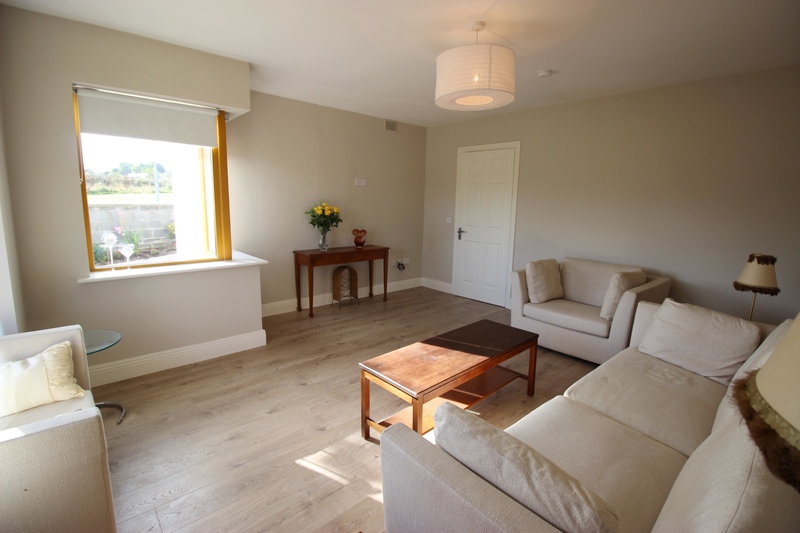 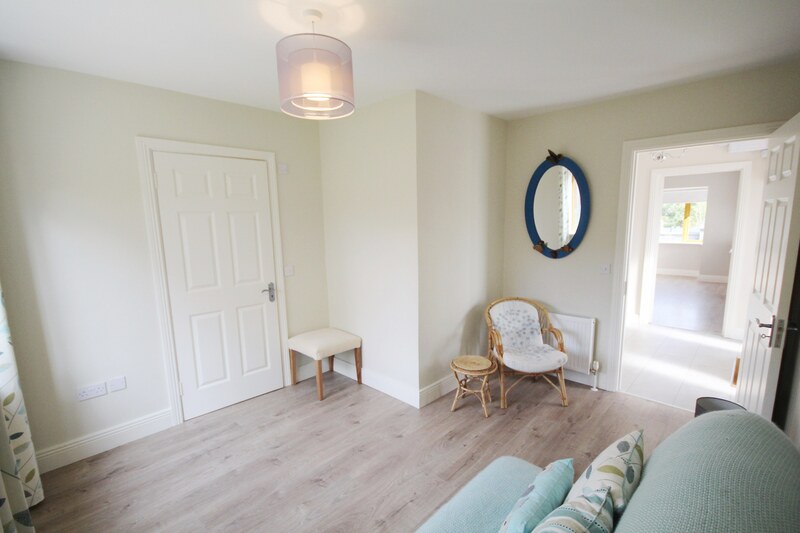 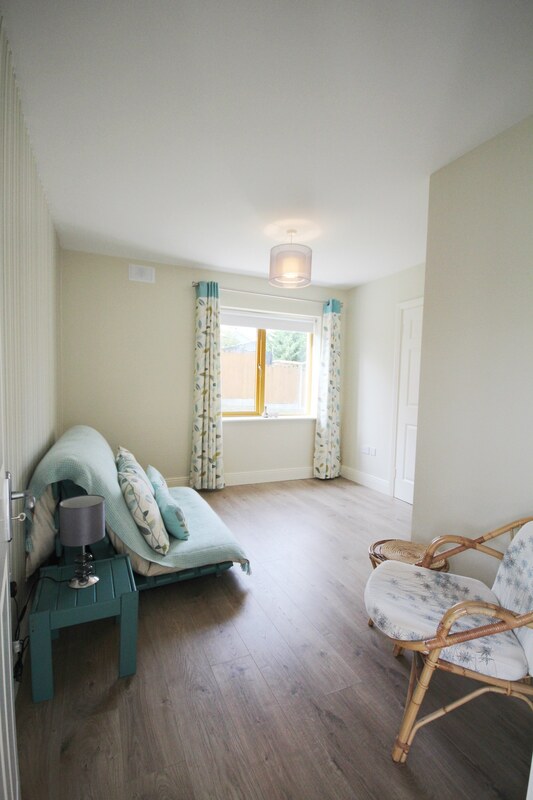 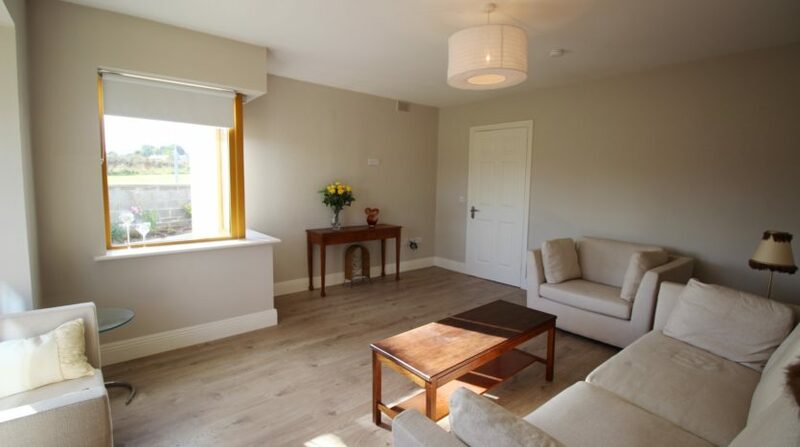 The property has excellent natural light throughout and is tastefully designed using only the best of fixtures and fittings. 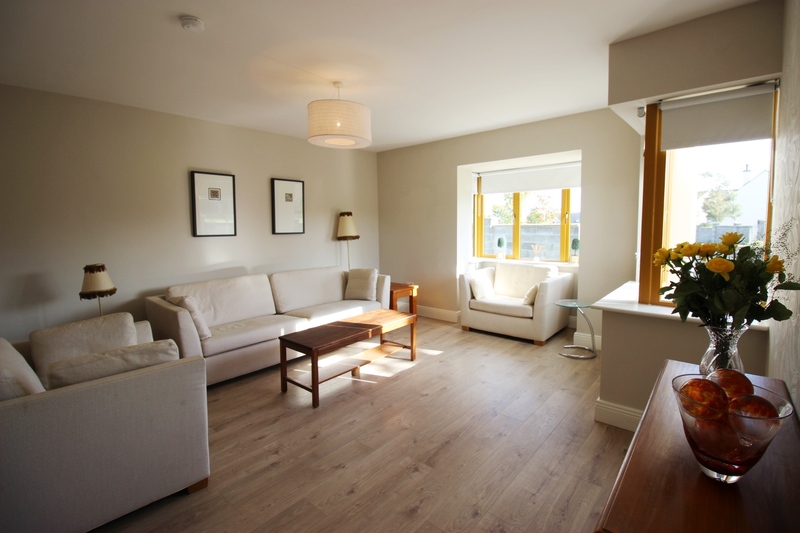 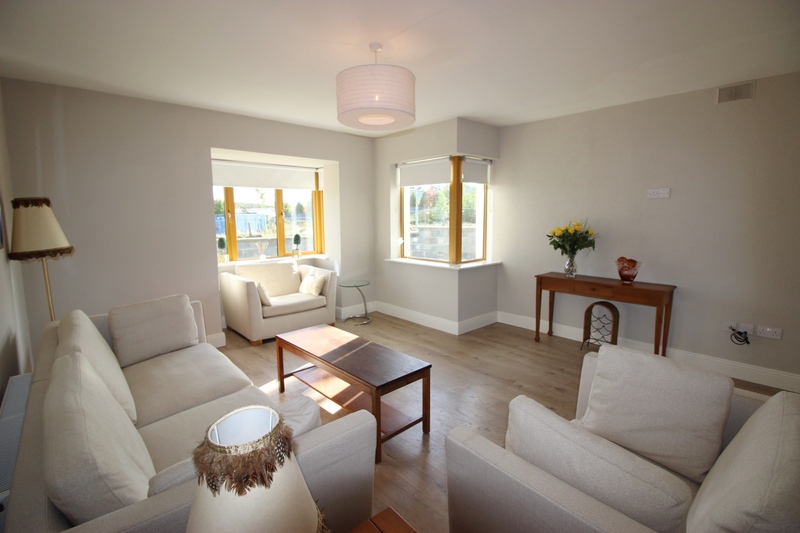 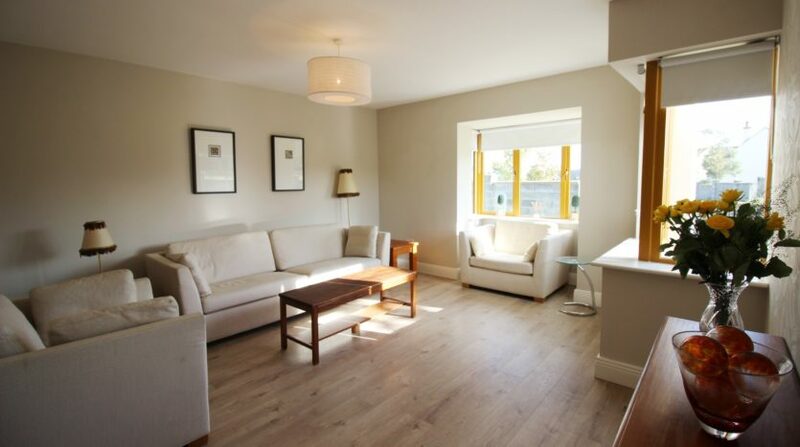 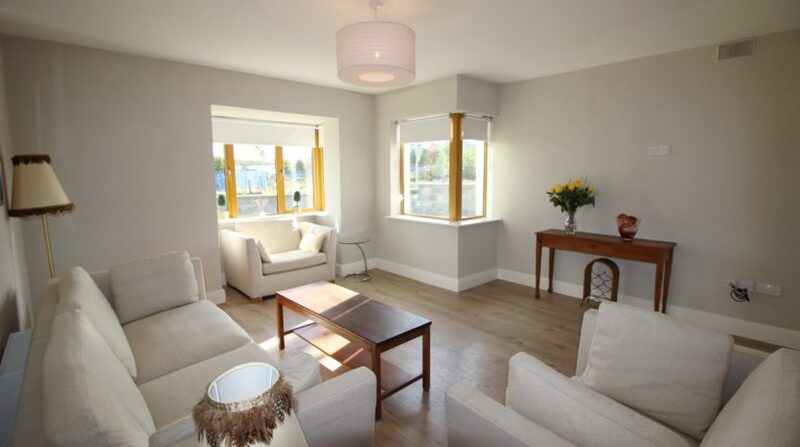 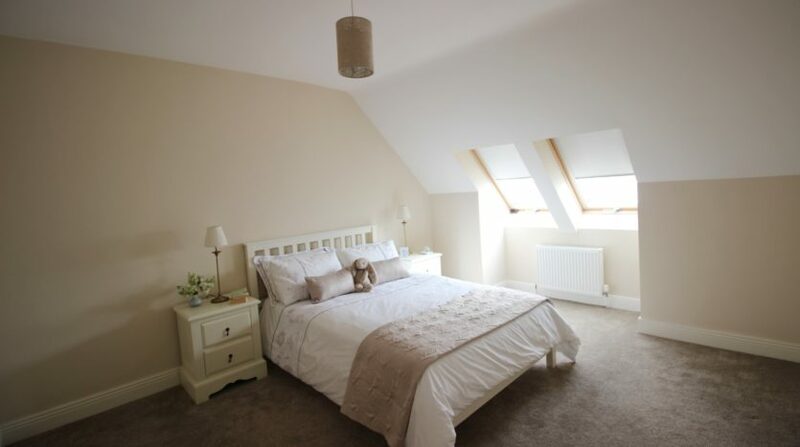 Downstairs comprises a large family room with bay window allowing great natural light. 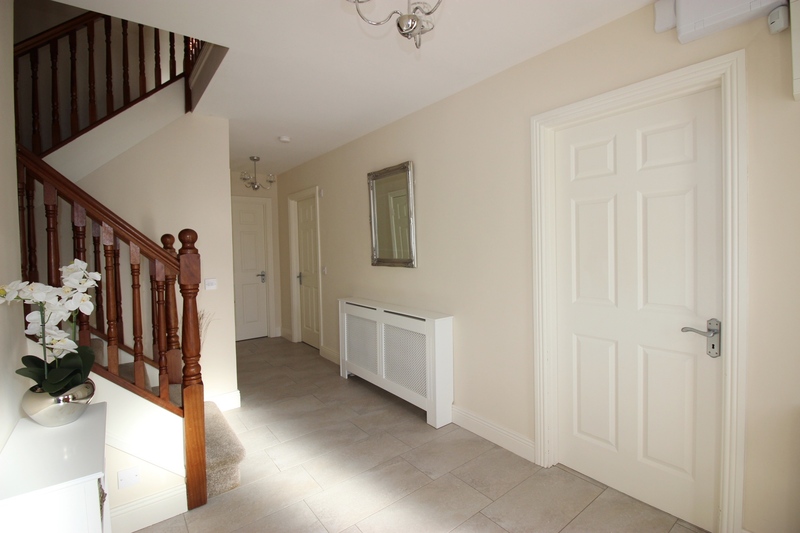 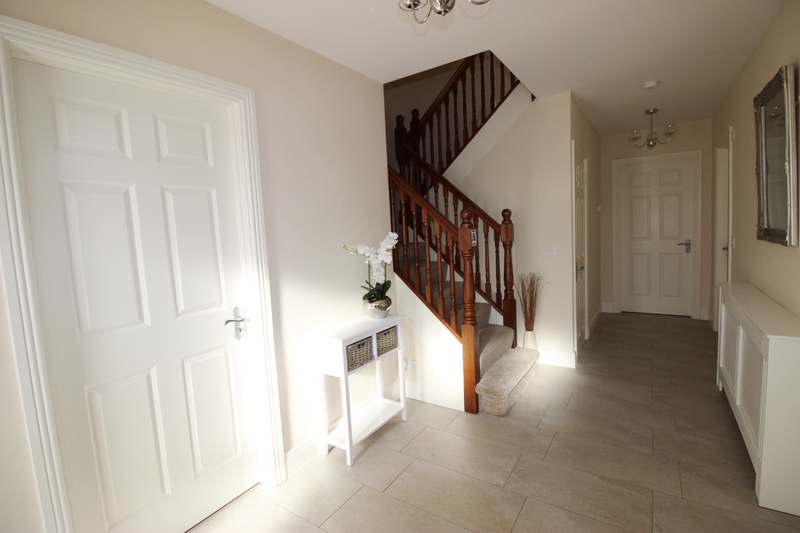 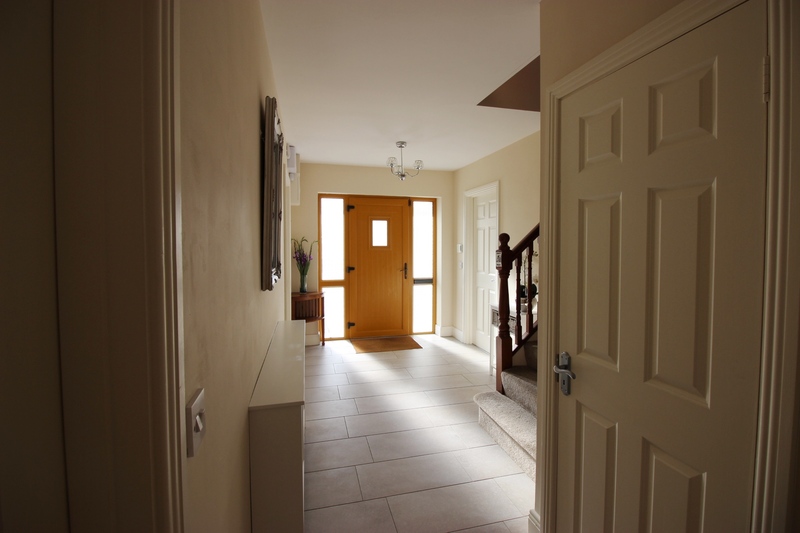 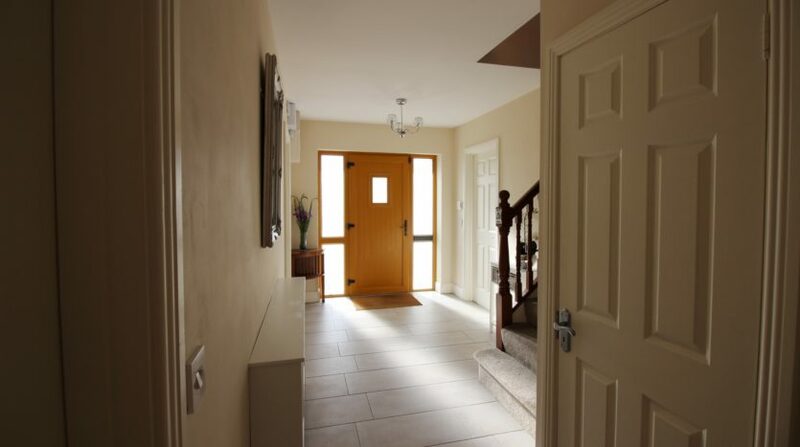 The large bright entrance hallway facilitates a guest toilet and understairs storage room. 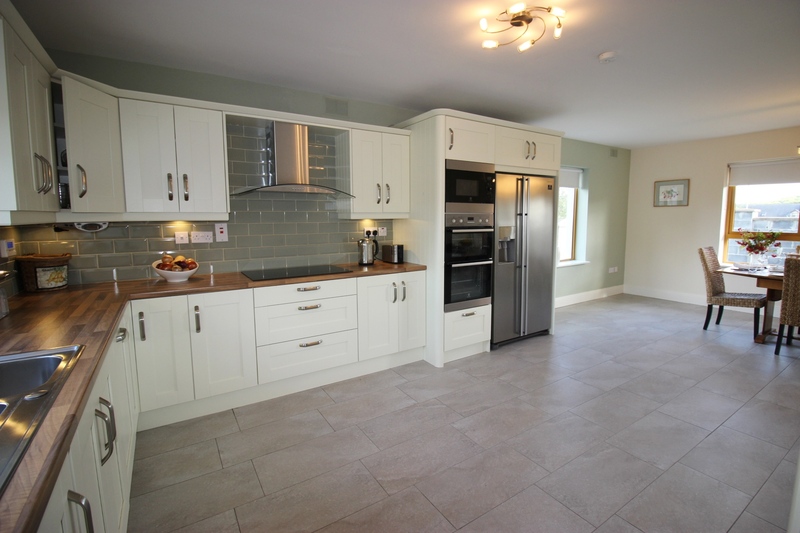 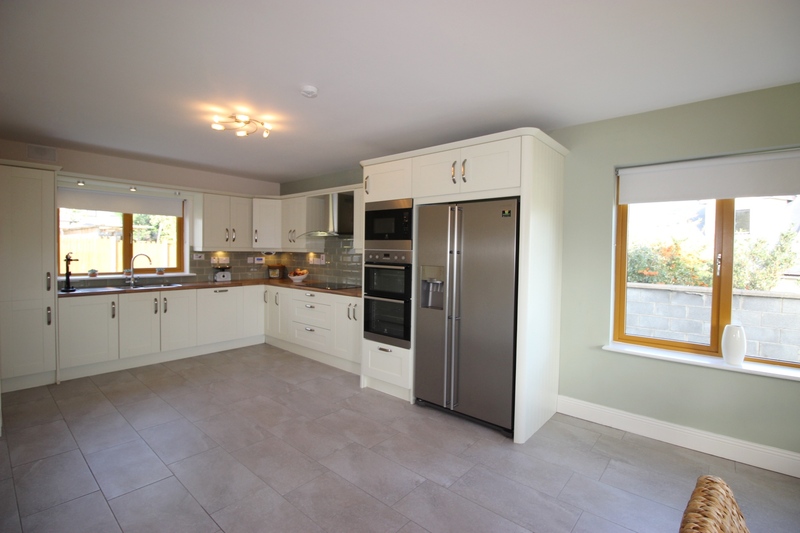 The dual aspect kitchen is exceptional which continues the abundance of natural light. 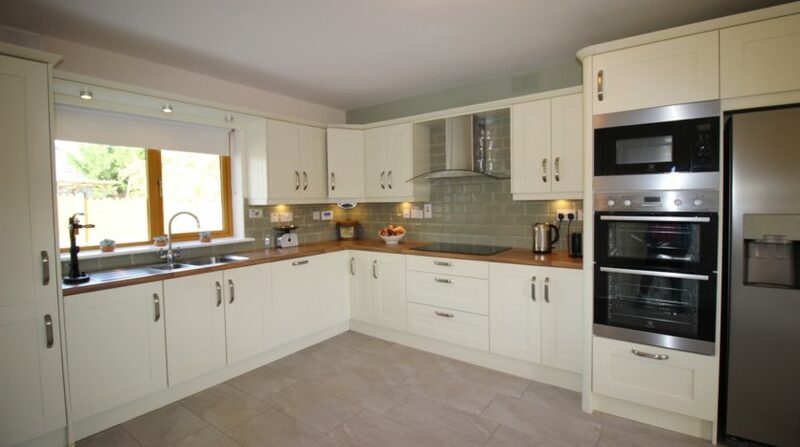 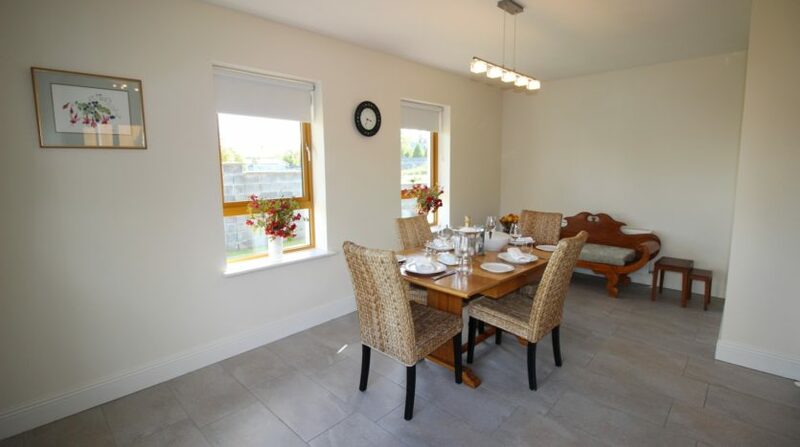 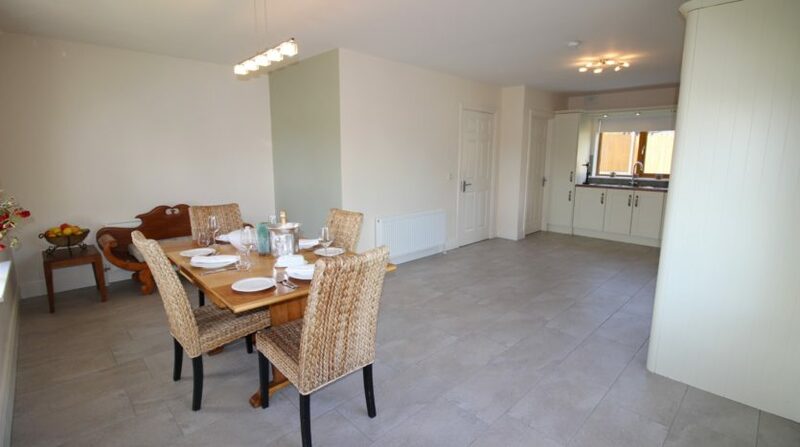 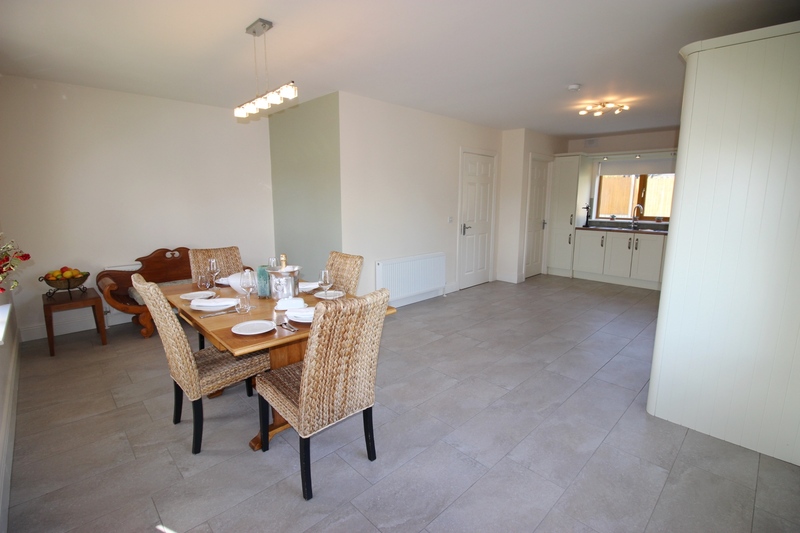 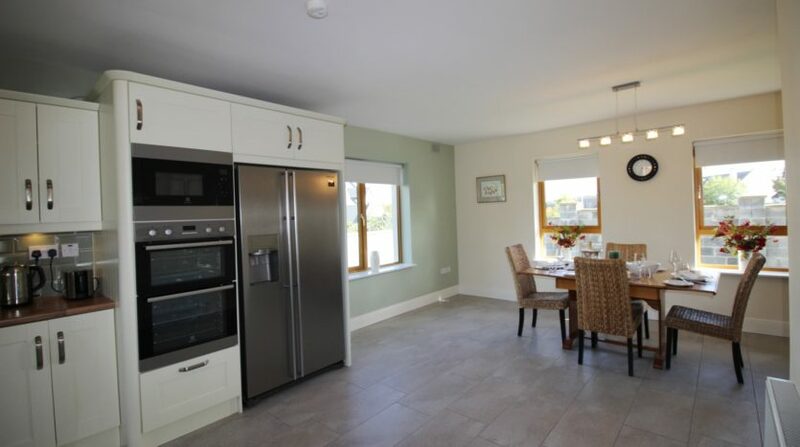 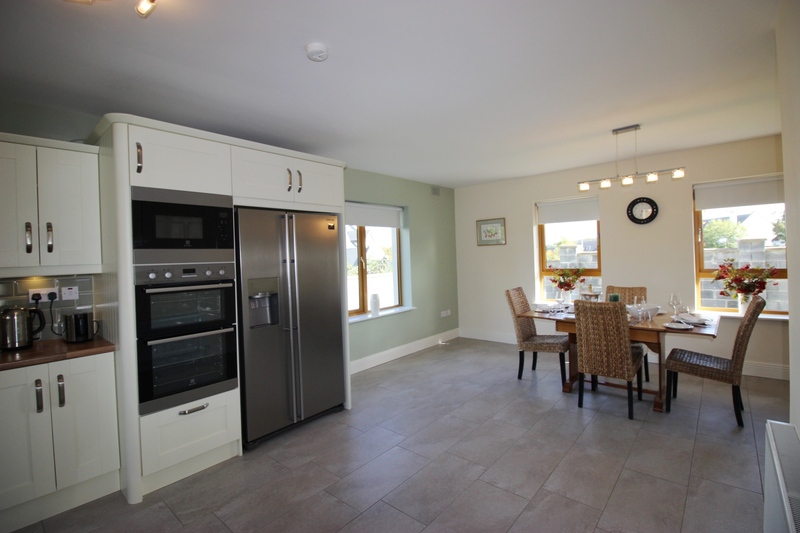 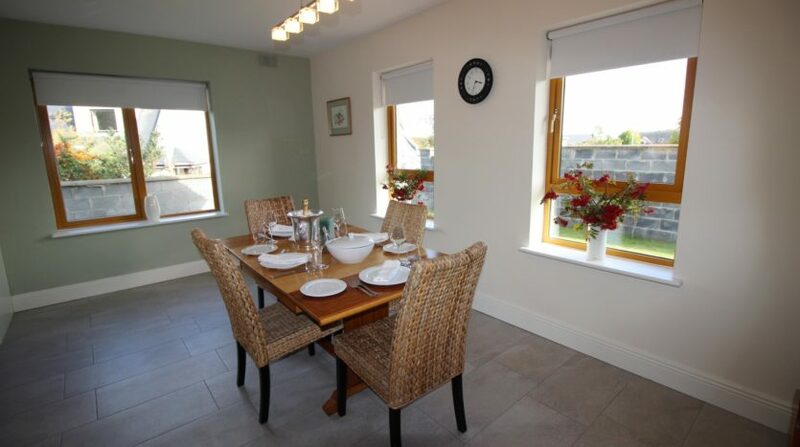 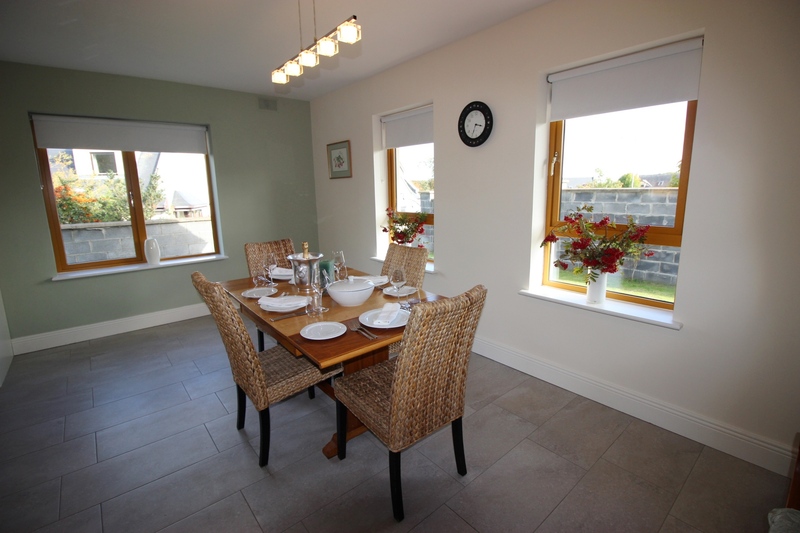 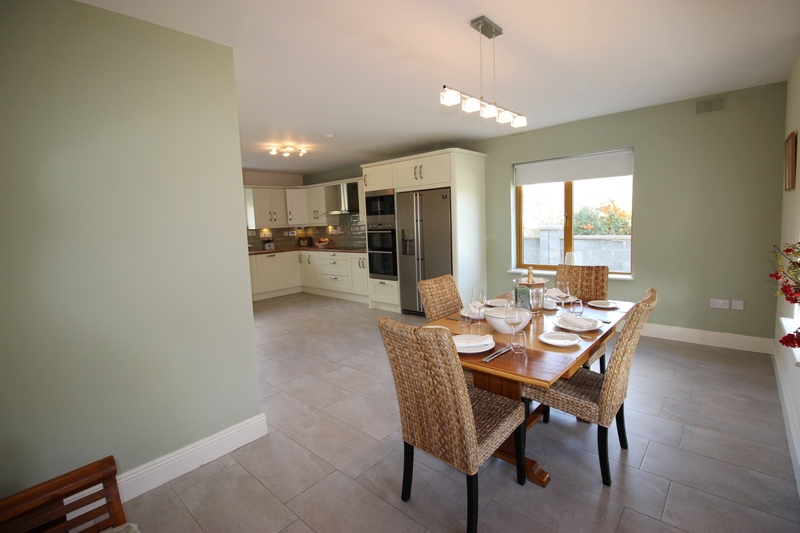 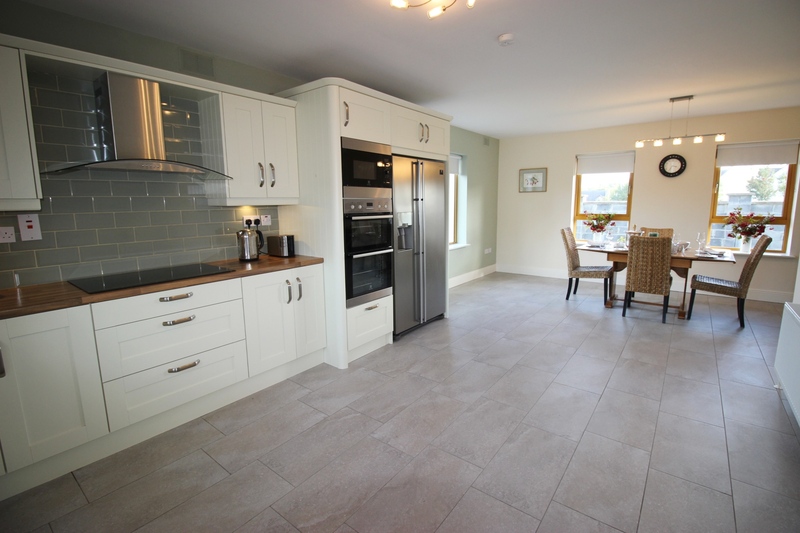 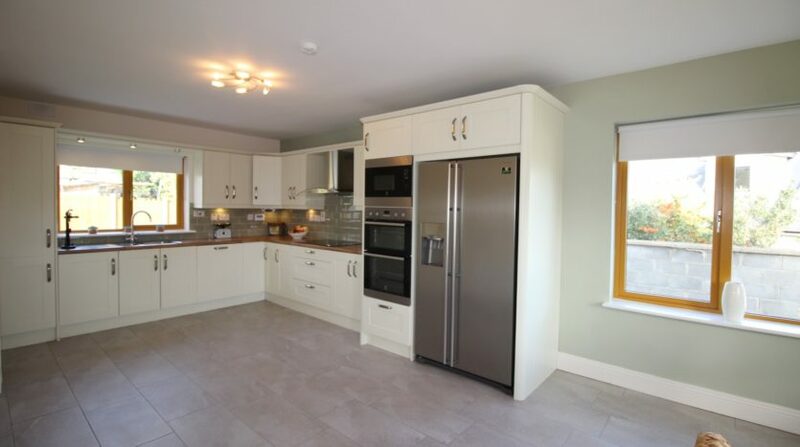 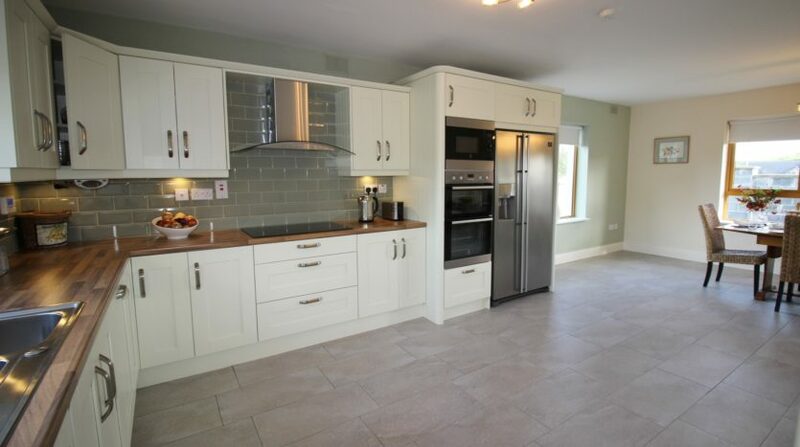 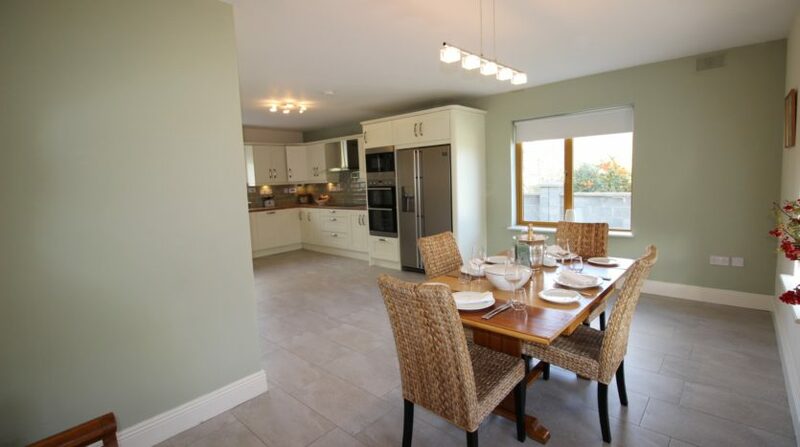 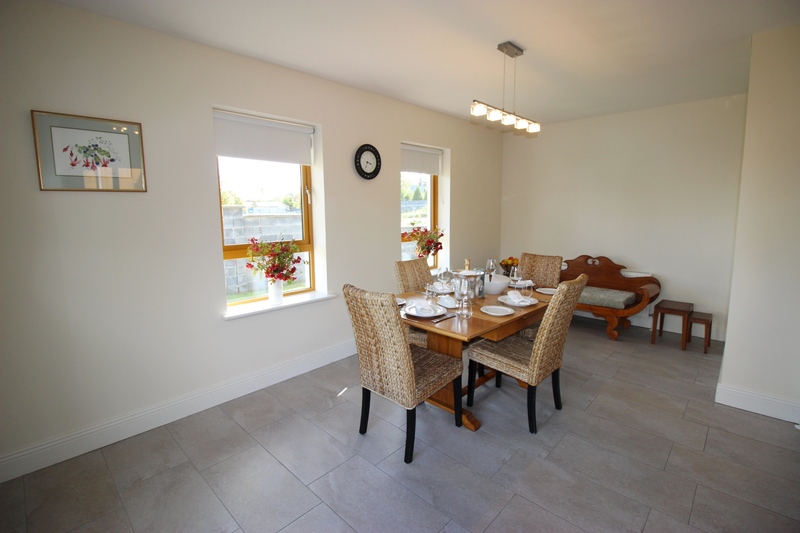 Designed with excellent counter and storage space and allowing for a very spacious dining area. 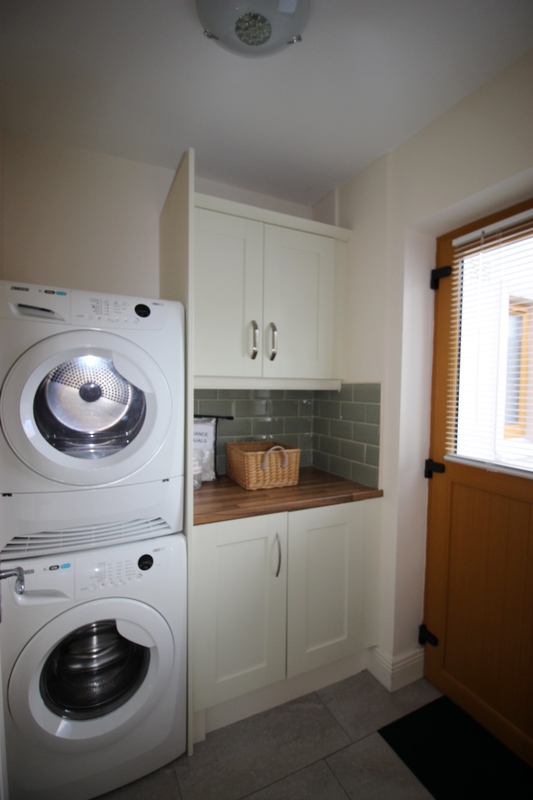 There is a well positioned utility room off the kitchen area with access to the side garden. 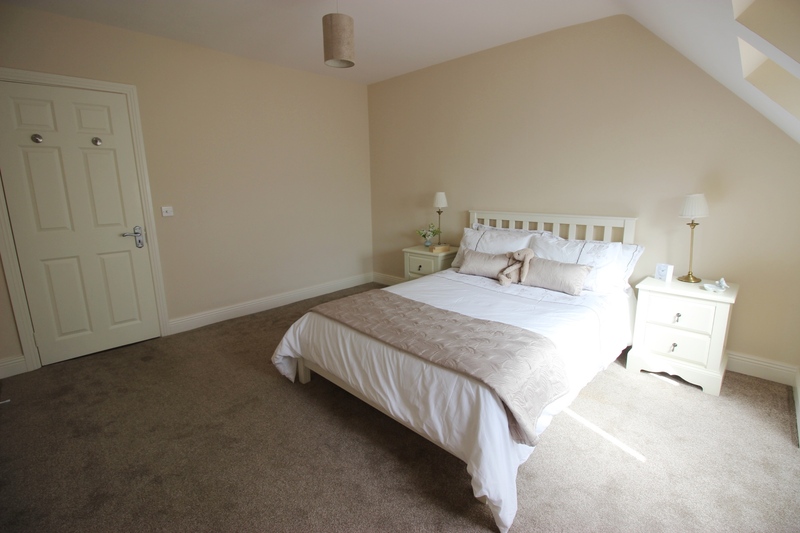 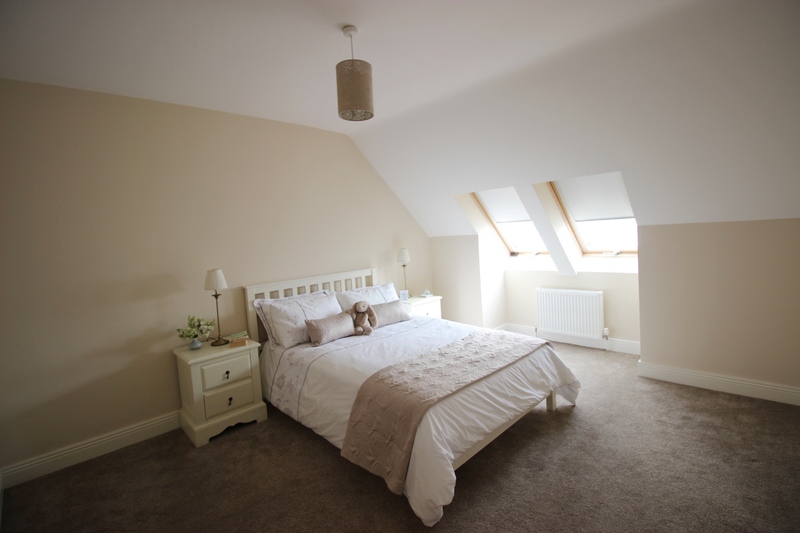 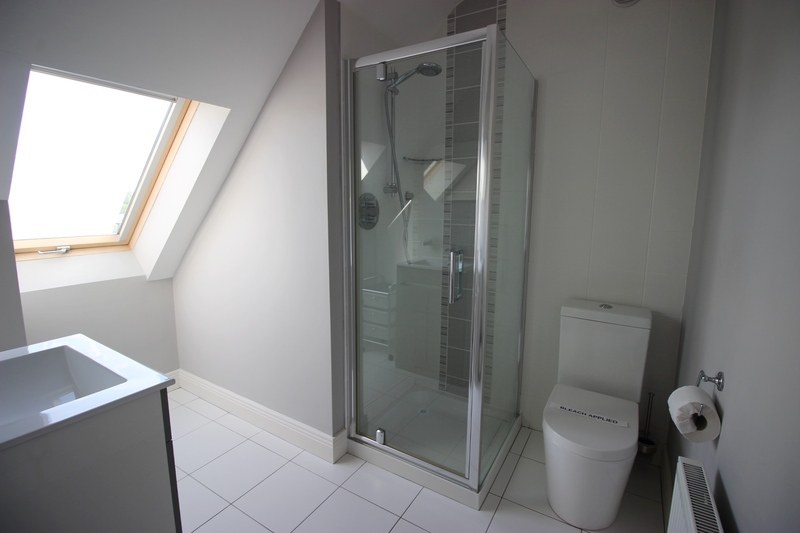 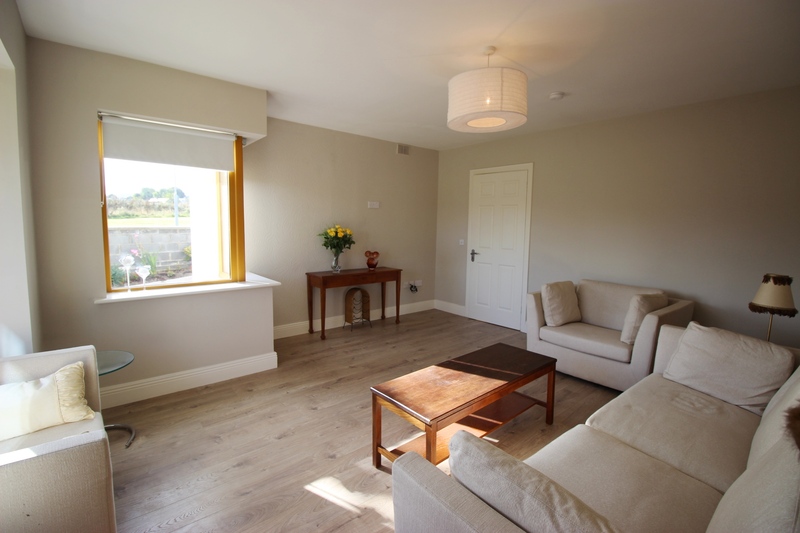 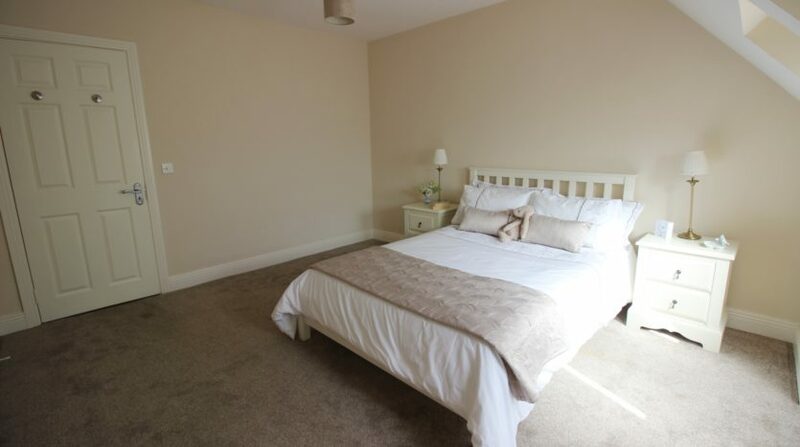 The ground floor level is completed by a large double en-suite bedroom with a warm glow of natural light. 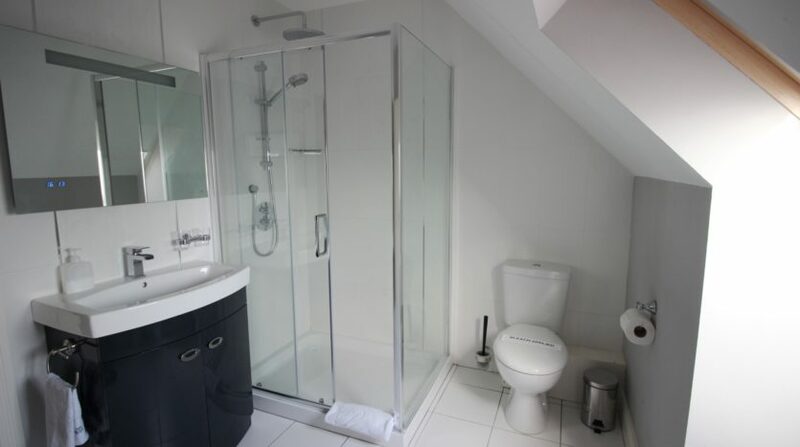 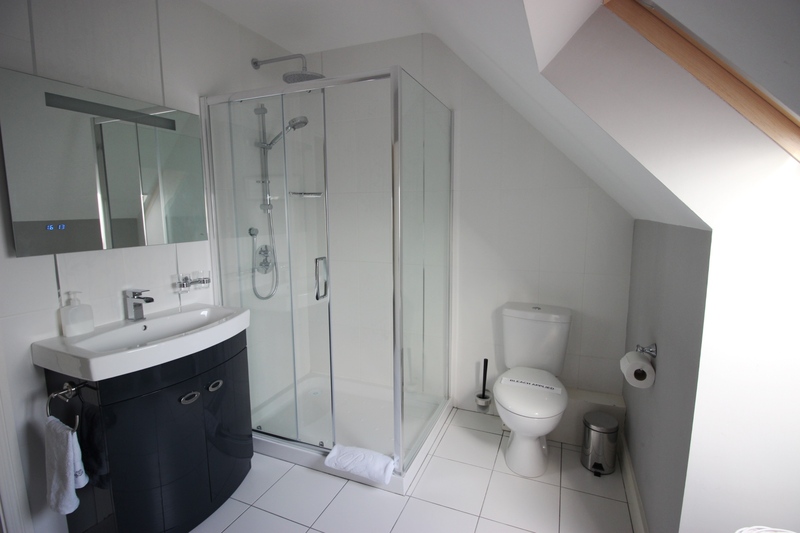 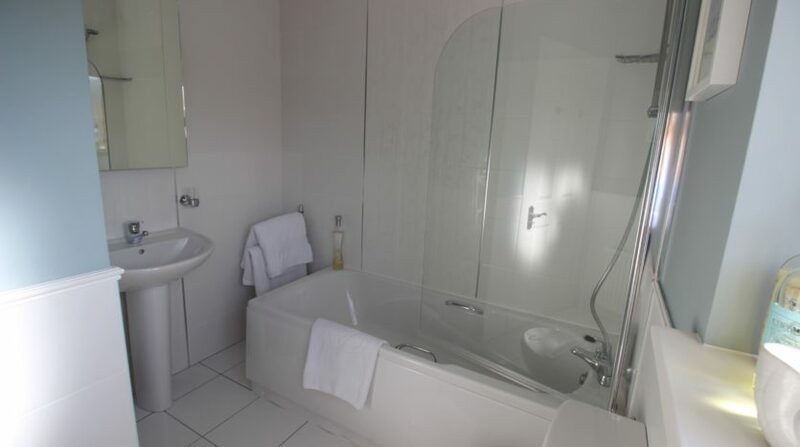 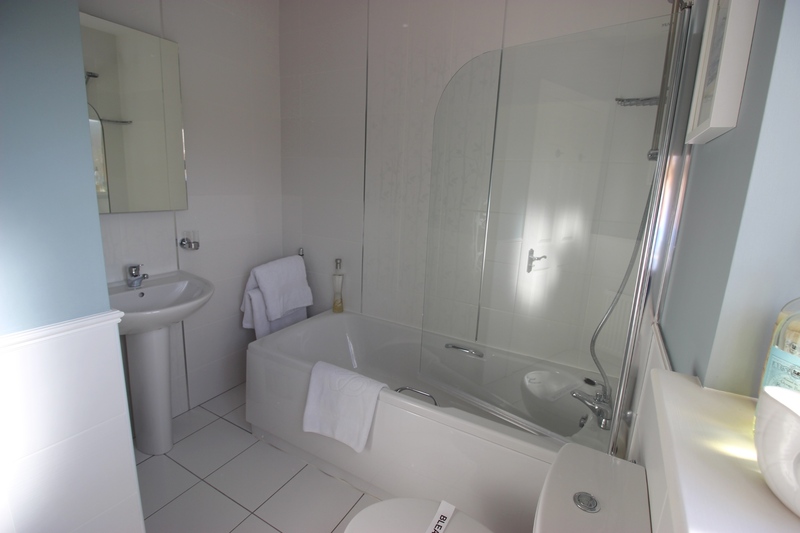 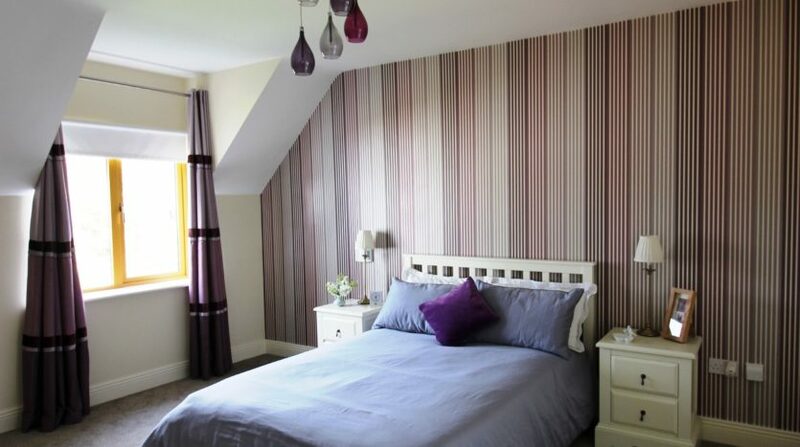 Upstairs consists of three fine sized double bedrooms, two of which are en-suite whilst the third double room is directly serviced by a sizeable main bathroom. 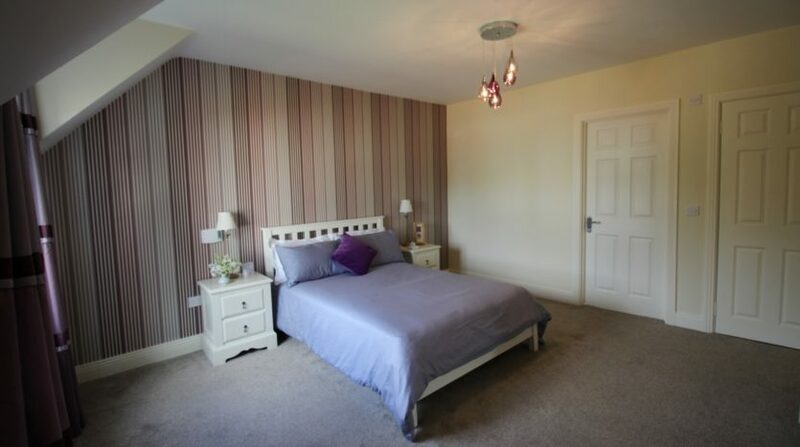 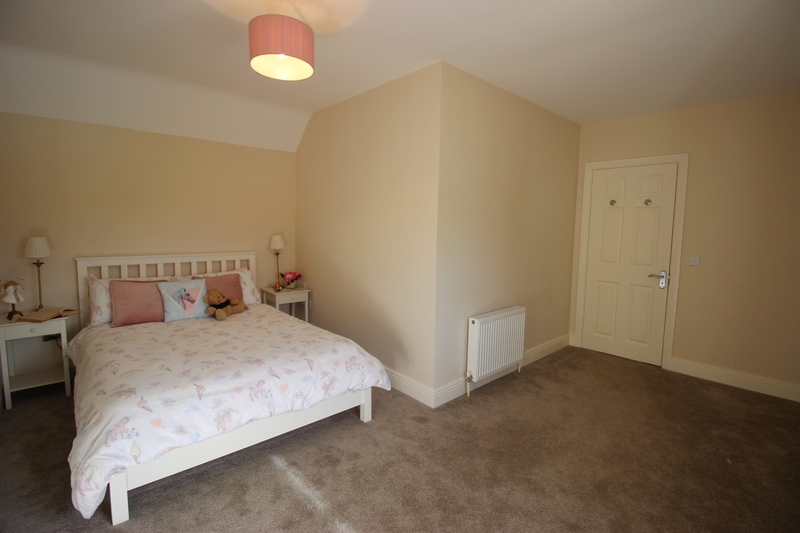 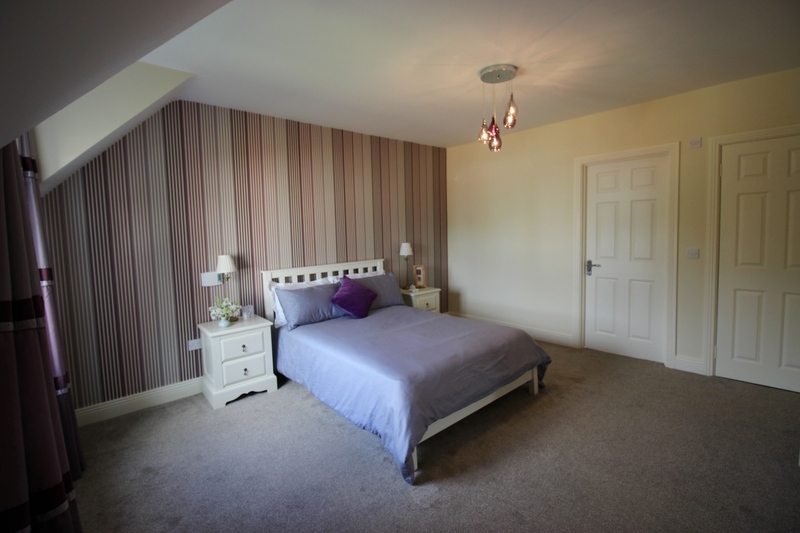 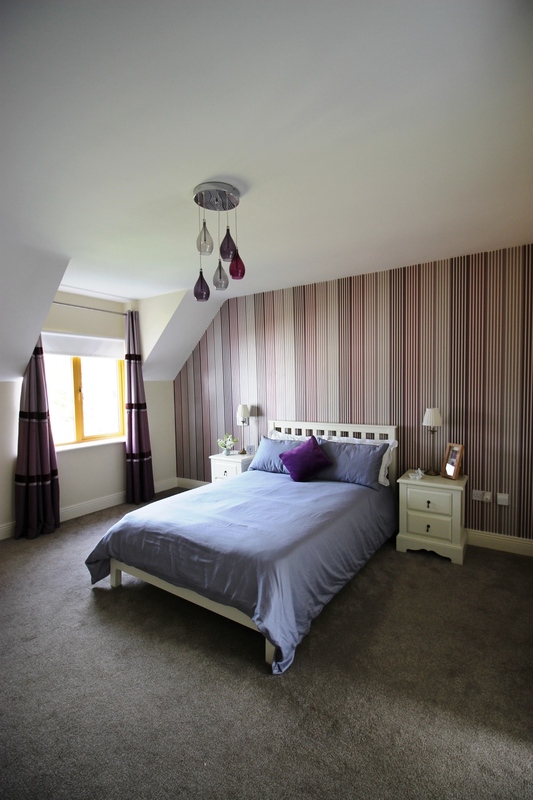 The en-suite Master bedroom, fitted with a walk in wardrobe, is very large in size. 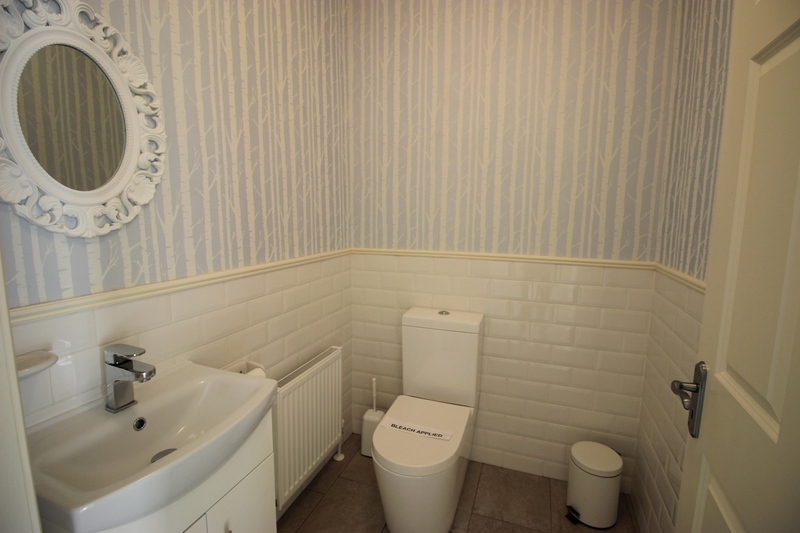 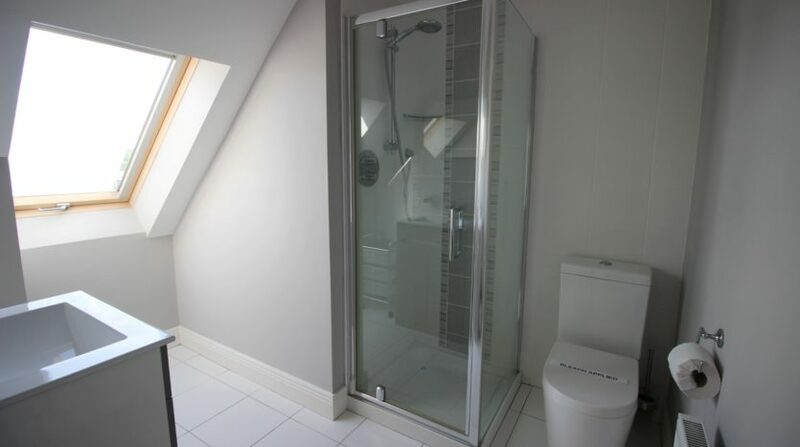 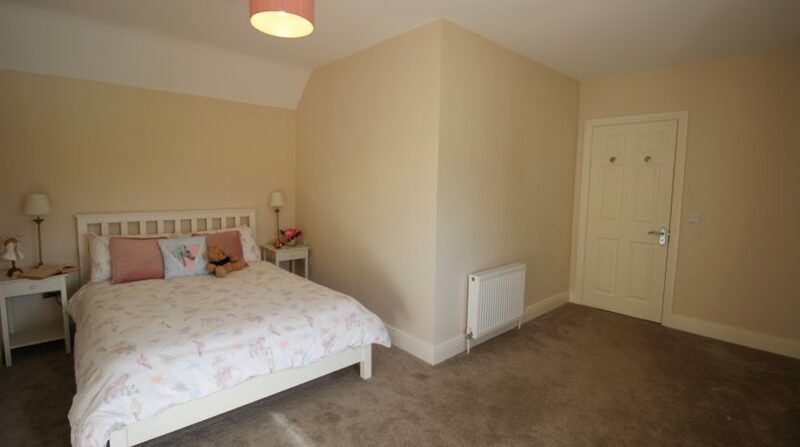 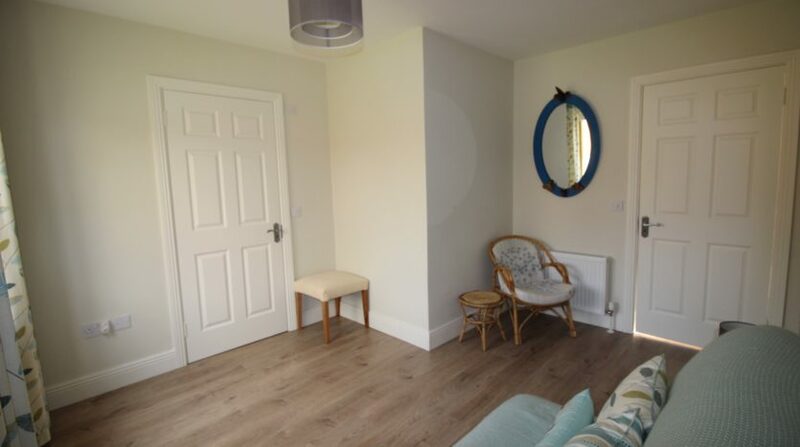 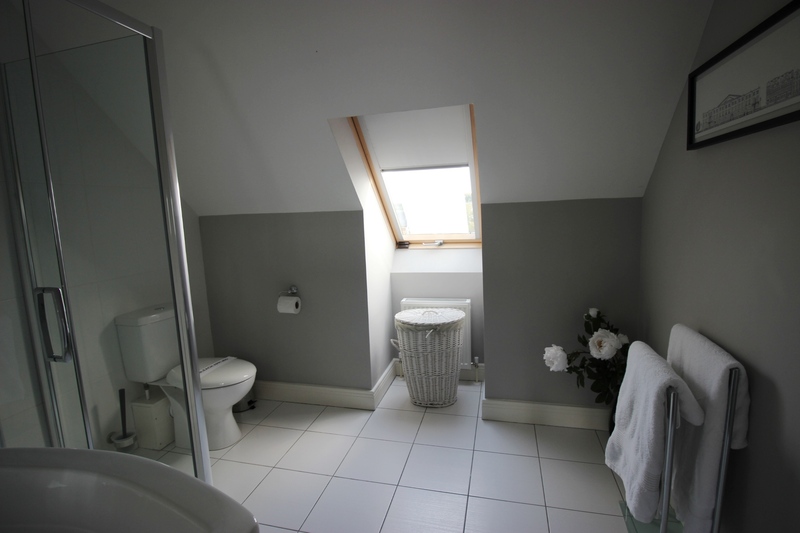 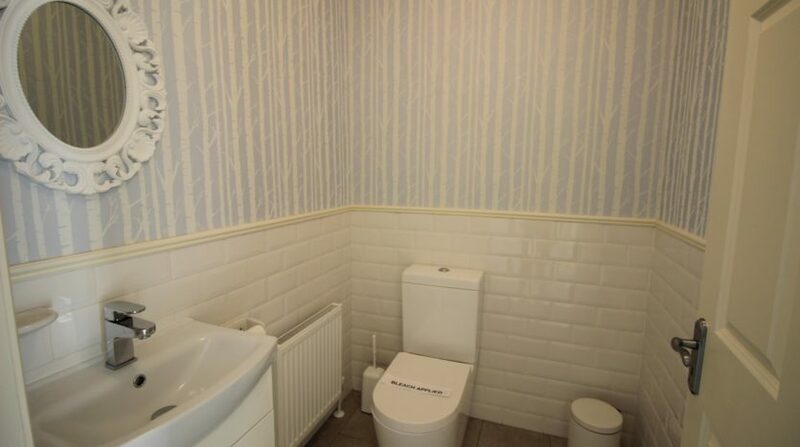 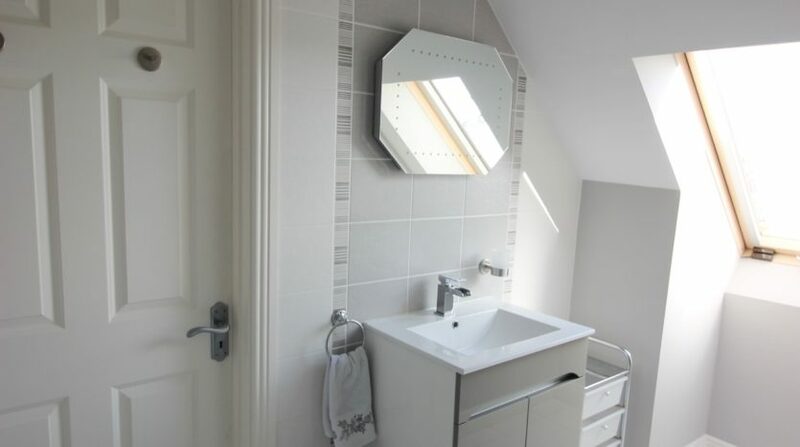 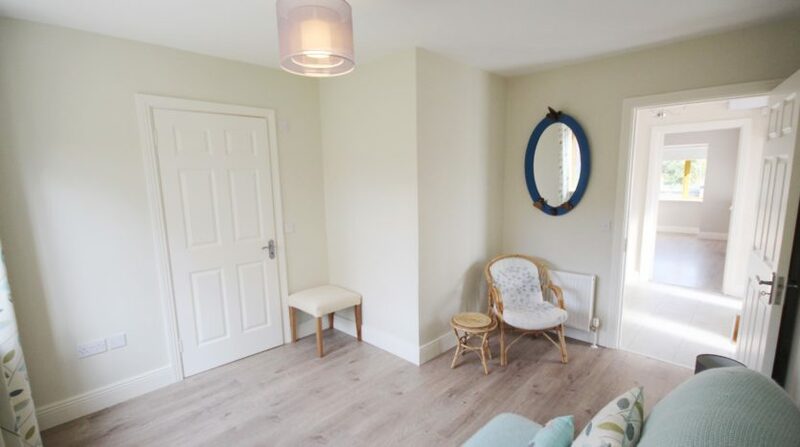 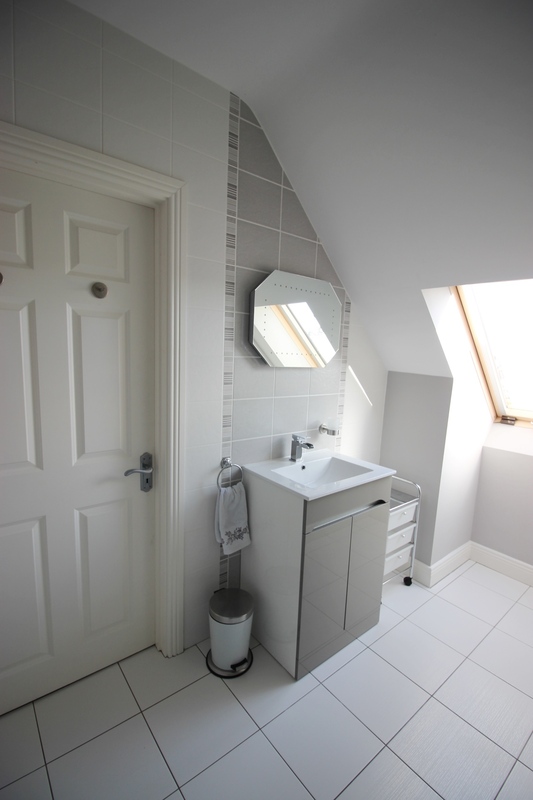 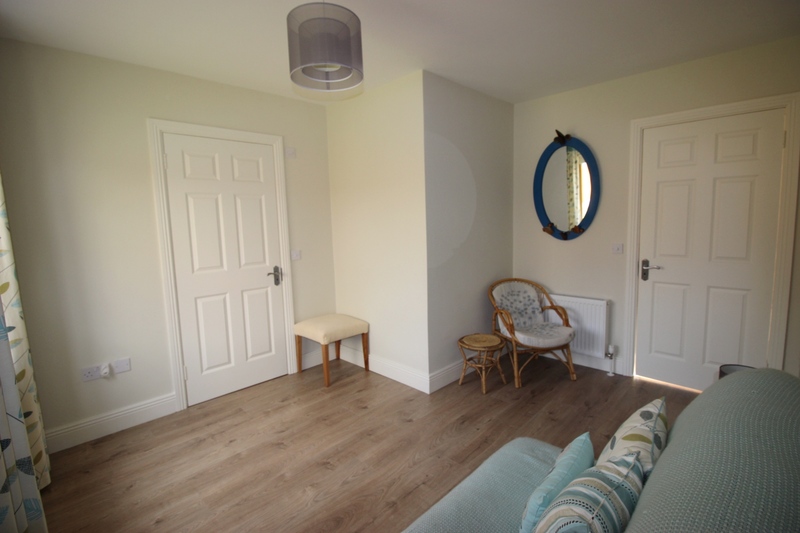 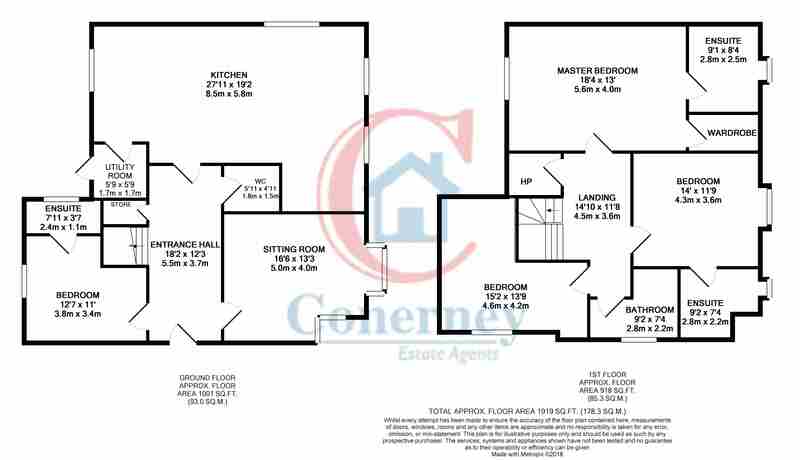 The property also has a very large attic space with ample head height and great potential. 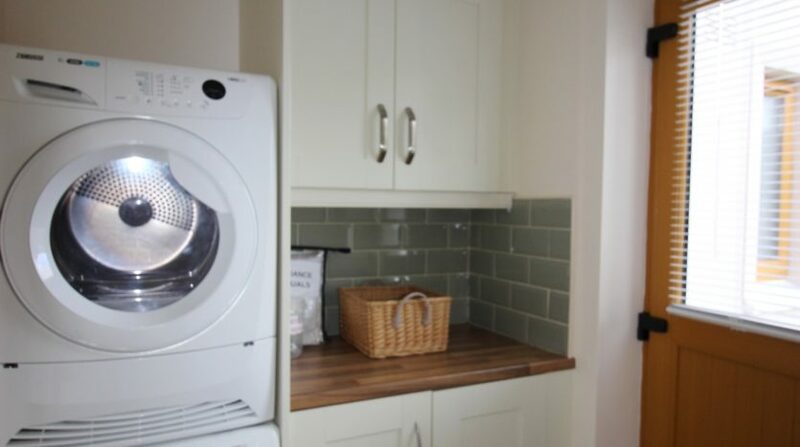 The BER is a good B3 and the property boasts an air to water hot water system providing a constant supply of free hot water. 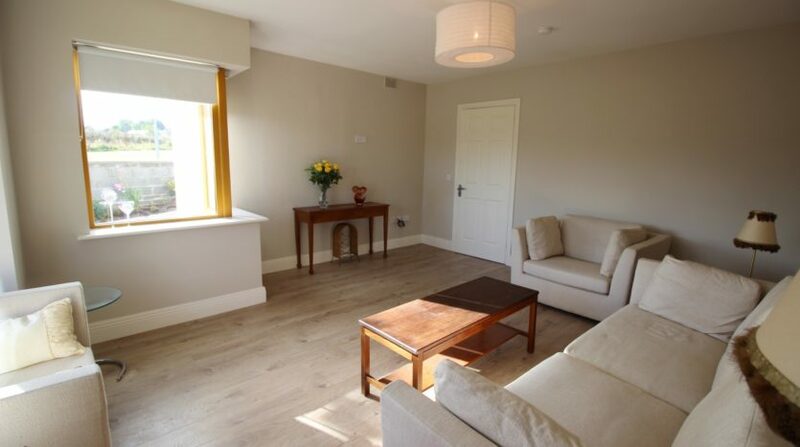 This excellent development comprises only 26 houses of owner occupiers and the neighbourhood itself is warm and welcoming. 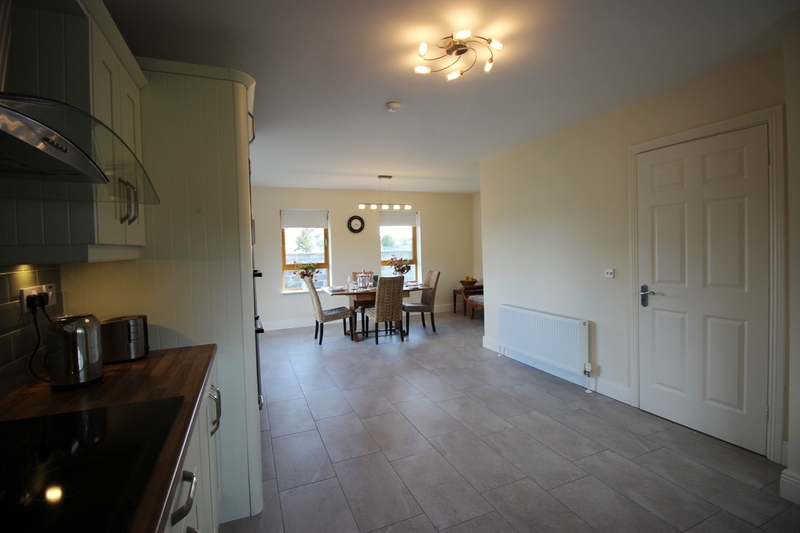 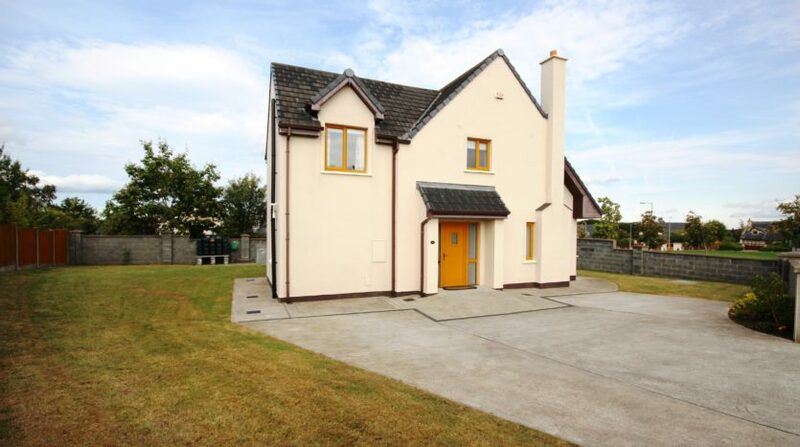 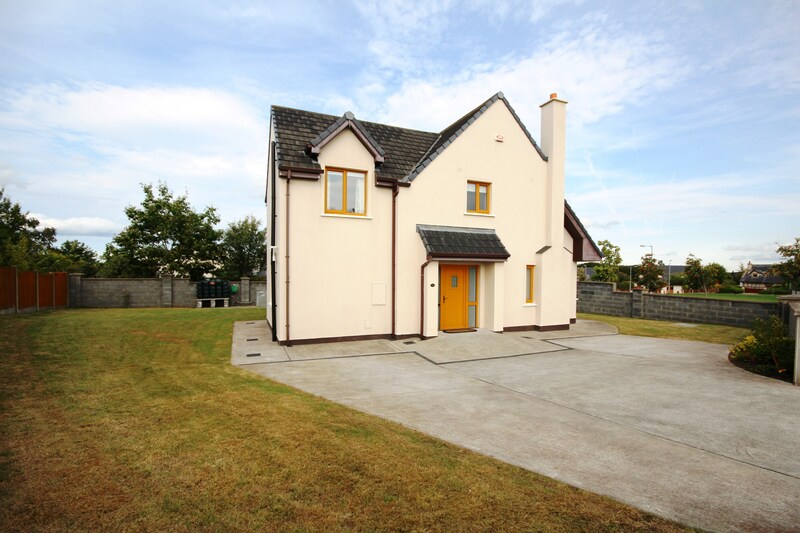 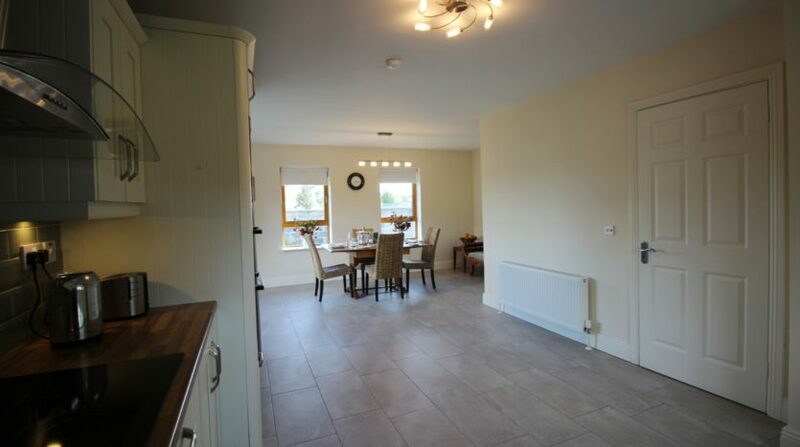 The location of the property is also excellent being only a short stroll to the village of Roundwood and only 12 mins drive from the N11. 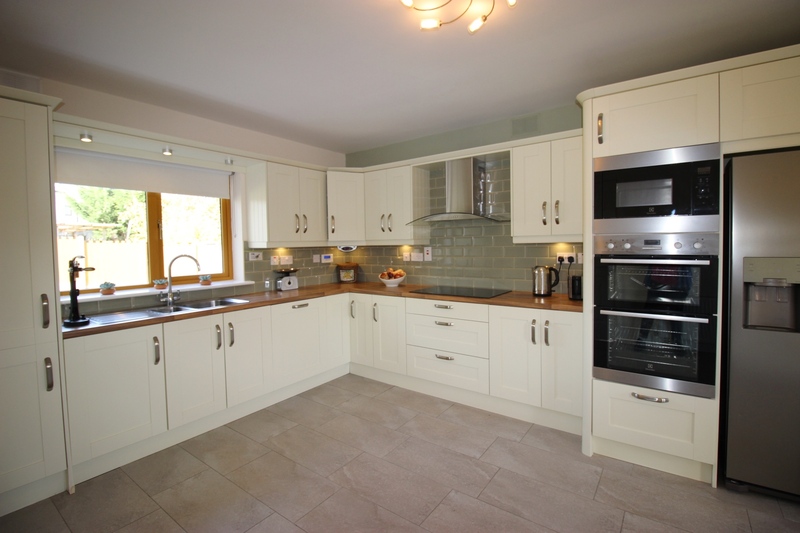 Rare to market, this home has been maintained and is presented in pristine condition throughout. 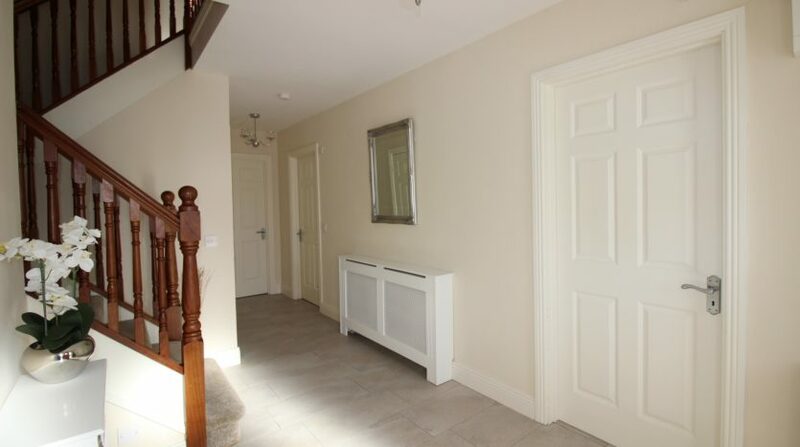 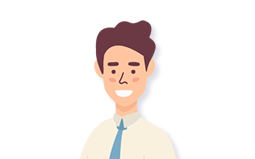 For an immediate viewing, call Simon 086 175 0460 or apply online, leave your name and contact number and we will get right back to you.